My husband works as a part-time professor in a local college. He goes to school twice a week, about eight hours per day. The rest of the week, he works for his social media marketing agency, Digital Circles. Of course, he would allot time for blogging. As a wife, I always remind him to rest his eyes, take a break from using the smartphone and laptop. When he's teaching at school, turn off the projector when not in use. I wonder are LCD and DLP projectors safe to use? Just the other day, Acer unveiled its latest innovation on projectors. Hubby and I were invited and so we thought of coming since we're also considering getting one. One of Acer’s range of IT products is their top quality projectors and two of which are featured that day. Acer’s top of the line, quality DLP projectors - ES-12 and the newest X117H. Both projectors has the DLP technology with high-performing and heavy-duty chips which are efficient and long lasting. Compared to other projector technologies, DLP produces better quality image and its technology uses a Digital Micromirror Device Chip (DMD). According to Faith Kuo of Acer Philippines, DLP Projector Technology is different because of its Digital Micromirror Device Chip that projects a thousand mirrors to compose a high-definition image. Other technology makes use of LCD panels to produce a colored image. DMD chips are sealed hence, dust won’t accumulate and color decay is preventable. Therefore, this type of projector requires less maintenance. “The DMD Chip is highly durable and long-lasting which contributes to the DLP Projector’s Total Cost of Ownership,” Kuo emphasized. 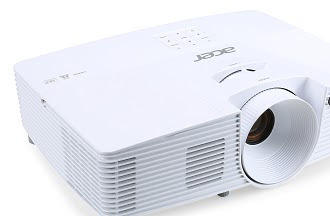 The Acer ES-12 is Acer’s prime model of the DLP projector has a standard resolution of 800 x 600 and can be maximized to a supported 1920 x 1200 resolution. 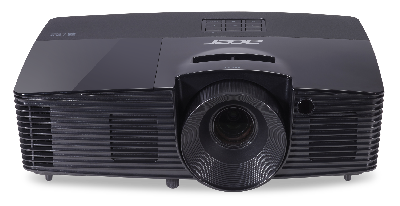 Acer’s DLP technology installed inside the ES-12 has 3000 lumens which can display brighter presentations. Despite brighter projection of images, the ES-12 maintains quality by also providing 1.07 billion colors and provide a contrast ratio of 20,000:1. Meanwhile, Acer pushes its boundaries even further in the projector business with its newest X117H model. It basically has the same baseline features of the ES-12 but delivers more brightness and vividness. Kuo said that two biggest highlight features of the X117H is its brightness and contrast ratio. “It now has 3,600 brightness compared to the mainstream brightness of 3,200 Lumens and 20,000:1 contrast ratio compared to the mainstream contrast ratio,” she added. Acer projectors support a standard screen ratio of 4:3 and a compatible aspect ratio of 16:9. These projectors have a minimum projection distance of one meter and maintain quality image at a maximum of 11.80 meters. With a 40-degree keystone correction that automatically adjusts vertical distortions, these projectors are convenient and flexible. These products are handy and lightweight with only 2.50 kg and can be installed on the ceiling. With stand-by power consumption that can be reduced by 90% and by 70% when turned on, this means Acer DLP projectors are good for the environment and for one’s budget. Using less energy that also means that Acer DLP projectors are eco-friendly and eco-smart. Acer projectors are in demand for its business and educational use. “Most of the total projector market is coming from the Academe and SMB’s. The Academe comprises of about 54 % while SMB’s comprise of 21% (IDC),” Kuo said. 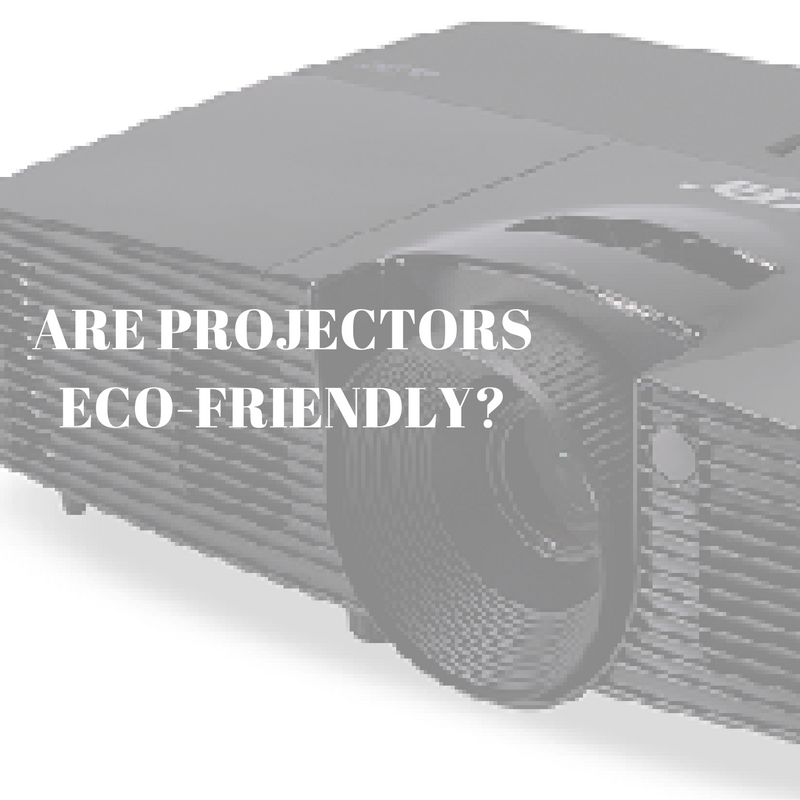 So going back to my question earlier, are projectors eco-friendly? I think everything that's too much could be dangerous. It's better to avoid too much exposure on anything that has radiation. As for projectors, I'm glad that Acer has come up with eco-friendly and energy saving projectors. What do you think of DLP projectors or any type of projector? Are you still using the old overhead projector?